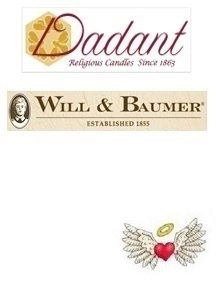 Dadant Candle and Will & Baumer glass devotional candles are clean-burning, long-lasting and come in a variety of colors and burn times for all of your liturgical and devotional candle needs. 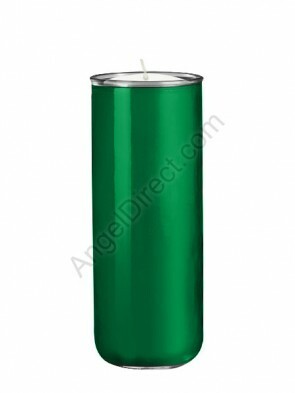 Open-mouth style devotional candles are convenient to use and easy to light, and bottle-neck style candles are recommended for indoor and outdoor devotional areas exposed to wind, or drafts created by heating and air conditioning ducts, open spaces and high ceilings. 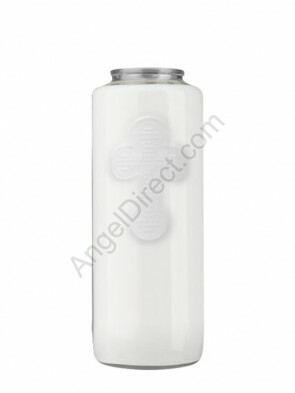 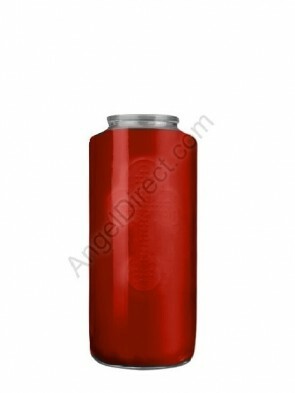 Use Angel Direct’s “Shop By” filters on left side to easily shop for glass free-standing devotional candles by burn time, candle top, color, diameter, height, brand and price. AD Heavenly ValueTM – Before placing your order, use Angel Direct’s shipping estimator (add product to cart, then select “View All”) to see our unbeatable UPS Ground shipping rates on all devotional candle products.